Over time, most of the hosts accumulated hundreds of favorite recipes of various dishes, and to these are added numerous tweaks and fine cooking of certain foods, the advice of friends and craftsmen, much more. Agree, I do not remember. It's time to think about creating your own cookbook. Buy in a stationery store thick notebook in a cage. The best fit is that the spring - it is easier to turn the pages. Also a good notebook with removable blocks. You can always add more leaves, also sells blocks with colored dividers, which is very convenient. Stock up on colored markers, pencil, pen, ruler, eraser. Number the pages. Determine the required number of partitions. The right way to begin a book, like every meal, with appetizers and salads. The second section is usually dedicated to the first dishes, followed by main dishes and side dishes, then desserts and drinks. Scroll to a separate section under recipes for winter preparations, medicinal infusions and tinctures. On the first page draw a table of measures of products, so it will always be at your fingertips. Each section of the book will make its own style and colours. On the first page stick a piece of colored paper in matching color. You will be easier to navigate the records. 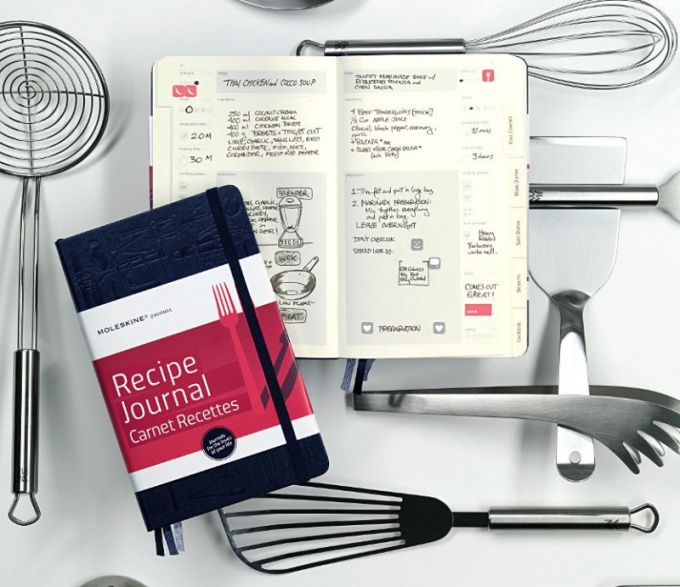 Neatly rewrite your recipes, adhering to sections. Do not try to write in detail unless it is absolutely necessary. Use well-known abbreviations, such as: art glass, tbsp – tablespoon. Make marks next to especially favorite you or your household dishes. Record observations about the preparation or composition of food, its peculiarities. At the end of the complete summary. Be sure to make a bookmark out of ribbon and attach it to the back cover. Decorate the cover of your cookbook as prompt fantasy. You can paste her pictures on the culinary theme, the colors of the fabrics or sequins and beads. You may also wish to issue each section, to take photos of those or other vegan dishes, put them in a book.